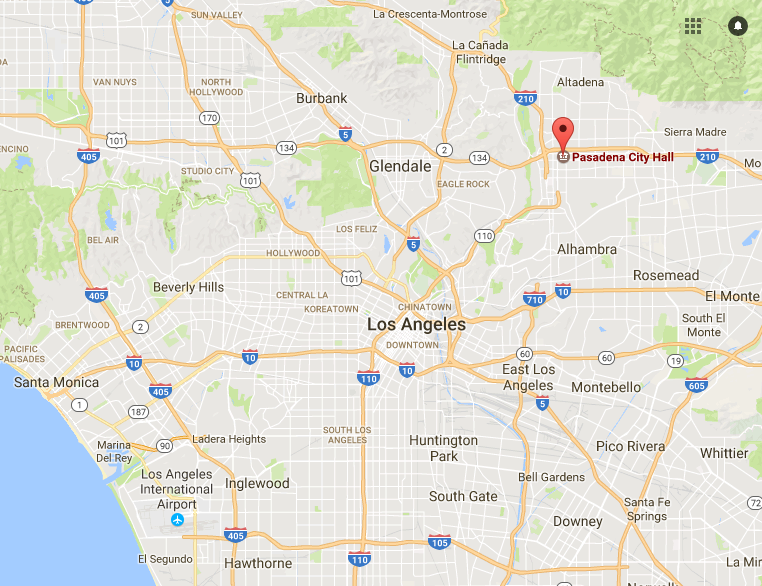 If your travels take you to Pasadena - why not stop off at the Pasadena City Hall for a photo or two? 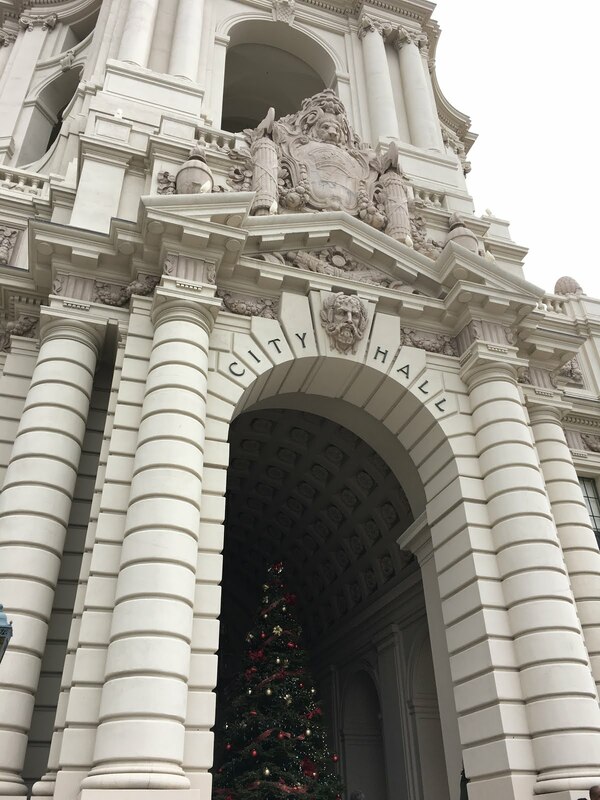 In addition to being a beautiful building, it's also serves as the exterior shot for the NBC TV show "Parks and Rec." Similar to "The Office," our teenage kids have become big fans of "Parks and Rec." No trip to Pasadena was complete without the obligatory stop. Which we did when we were back in town January 1st-3rd. 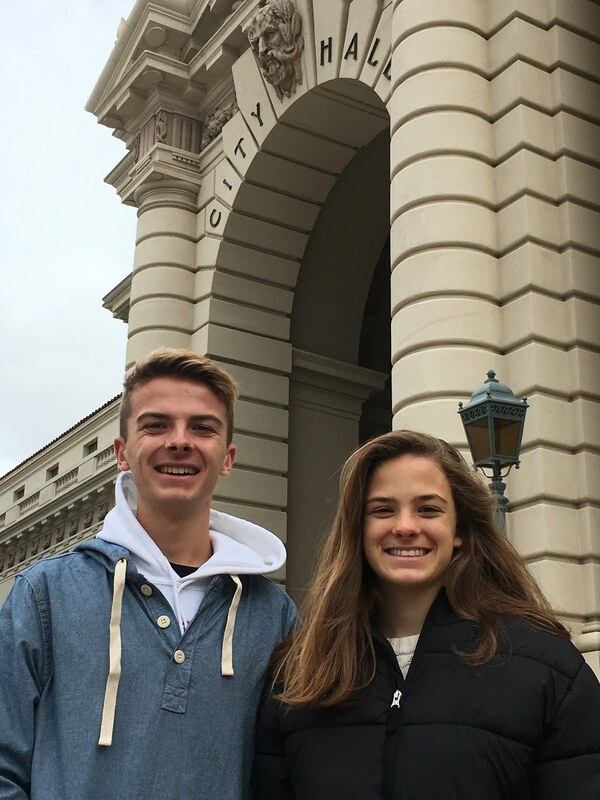 After an enjoyable time seeing Tournament of Roses (that is, the Rose Parade) in the morning we drove over to see City Hall. 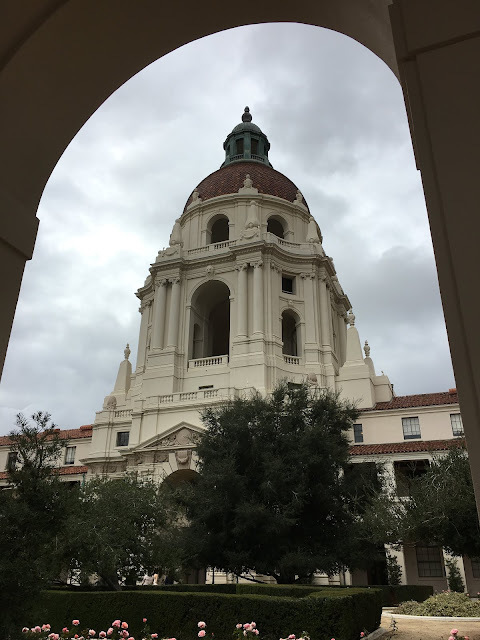 In my non professional opinion, it's one of the most beautiful public buildings in California. Looks like I'm not alone in this assessment. 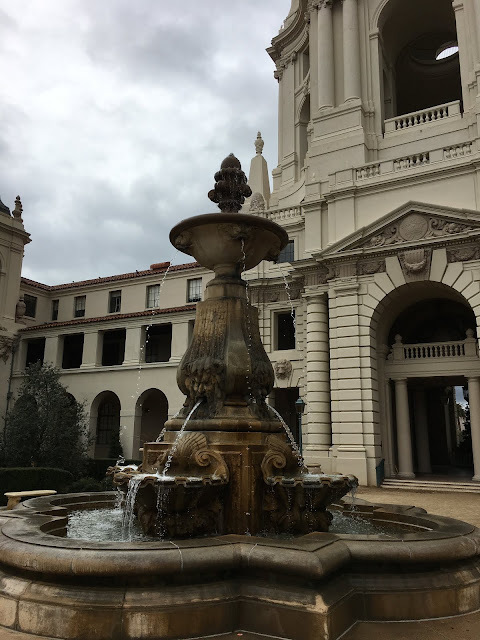 Apparently, the fountain the in interior courtyard is so popular with wedding and quinceañera photography that the city is considering charging a fee. There was a wedding photographer the day we were there, Monday January 2nd. A few from the backside. 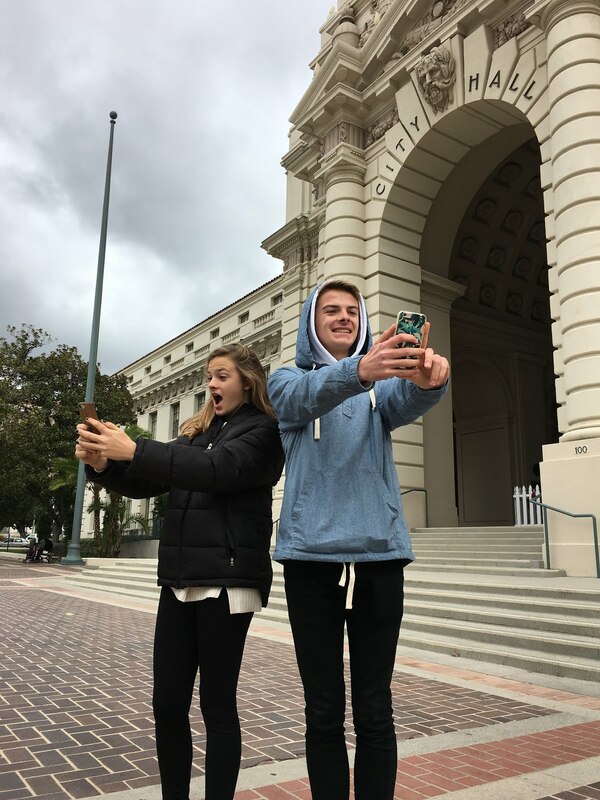 We where there on a holiday. The second story is open to the public during normal business hours. Street parking in downtown Pasadena can be a bit tricky - it's always helpful to have plenty of quarters for the meters. 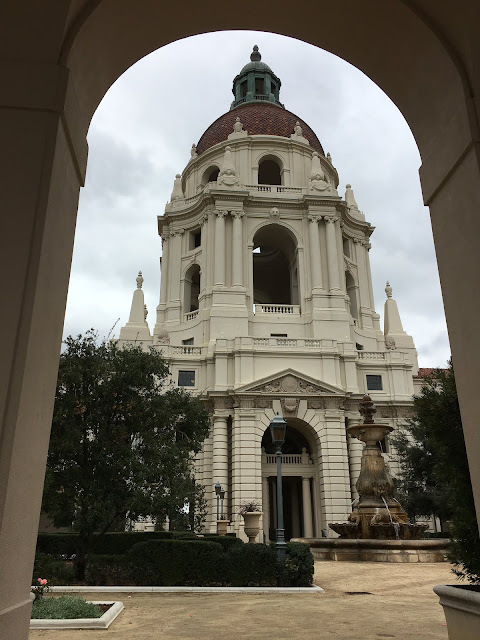 The Pasadena City Hall was completed in 1927 and was listed on the National Register of Historic Places in 1980. And, if you're in the area, why not take time to also enjoy the nearby Bungalow Heaven neighborhood? The Pasadena City Hall is located at 100 Garfield Avenue in Pasadena. Final photo. Next stop, the California Science Center next to USC, to see Space Shuttle Endeavour.